Now that we’ve had time to hash out the meaning of financial independence, I want to get to the topic I originally was going to write about: how to reach financial independence (FI). As you’ll see below, there are many paths to FI and ultimately it comes down to working out a basic math formula. Let’s review the key parts of the formula one by one. Current earnings — Also known as total income. For most people this is income from their careers but it can also include side jobs or businesses. Current expenses — How much is spent each year. If you don’t know, you’ll need to get a handle on this quickly. Difference between earnings and spending — This can be called many things — your gap, your cash flow, or simply income less expenses. You’ll also hear many people working on FI refer to their savings rate which is your gap divided by your earnings. Investing the Gap — Once the gap is known, it needs to be invested it to make it grow. Expenses during Financial Independence — This is the amount spent annually when a person reaches FI. If someone has enough income/assets to cover this number indefinitely, he is FI. For instance, if Joe completes a rough budget and knows he needs $40k a year to live the lifestyle he wants in FI, then that’s the number he needs to cover. If you wanted to simplify the above you could eliminate the first two and start with the gap (which is defined by including the first two). It makes the formula simpler but since I want to highlight specifics about each, I broke it down. Current earnings — The higher the better. A major key here is to grow your career which could earn you millions of dollars over your working lifetime. You can supplement this income with second jobs, side businesses, or even using credit cards to get reward dollars. Control spending — The lower the better, but don’t kill yourself. Simply being moderately frugal will go a long way. You’ll probably want to develop a budget so you can review expenses and identify places you could cut. Some ideas for controlling spending include saving on large purchases like homes and cars, living in a low-cost city, controlling small spending, staying in shape, stacking discounts, getting rid of your stuff, and asking for discounts. The good news is that you don’t have to do all of these. Just pick the ones that work best for you to get spending as low as possible. Gap — Obviously the higher the gap/savings rate, the faster you’ll be able to reach FI. If you maximize income and control expenses, this will be completely taken care of. Investing the Gap — Most people seeking FI go for growth initially, but always have income in mind. So start with something like stock (primarily) index funds for growth to generate a large asset base. Once it reaches a large enough size, you can then begin to transition more to income investments (to cover FI expenses) like real estate, dividend investing, and P2P investing. FI expenses — Once income generated by your investments (plus any other income sources you may have) covers your FI expenses, you have reached FI. To be sure you cover your expenses, I recommend developing an FI budget for a year or two out so you know exactly what you’ll spend and know if you can cover it. If you’ve been doing a budget up to this point, knowing your expenses and putting together an FI budget should be a breeze. 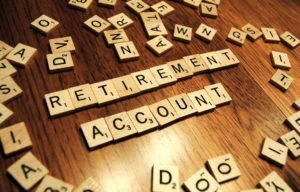 I read many FIRE (financial independence retire early) sites and am amazed by the various ways people have achieved FI (especially those in their 30’s and 40’s). There are two ends of the FI spectrum based on how much income is needed to cover FI expenses. Some people only need $30k a year to cover expenses awhile others need $100k. These two are illustrated by what is most common (based on my reading) versus my specific situation. There are people above and below these numbers, but this range probably covers at least 90% of those who reach FI. I know some ESI Money readers who will have over $97k in income when they retire. The summary: you need to be excellent with at least one lever or else you’ll reach FI when you’re 90. The more of them you’re good at, the faster you will reach FI. Here’s a calculator that tells you when you can retire. Play with it using various assumptions and see where you stand. That’s my take on how to reach financial independence. Any thoughts you’d like to add? I think you nailed it. Those are the traditional methods for folks who bring in regular employment income. I’d fall in the middle of your spectrum. Expenses have gone up in recent years with the kiddo (daycare, etc) but it is probably around $50K all-in. And I don’t calculate my savings rate, but I’d guess it is around 60-75%. Like you said, it is all about pulling as many levers as you can to get to FIRE quickly. One other avenue that will help me going forward, and may help many others on their path toward FIRE, is owning a small business. My siblings and I went in on one this year as we recognize the many financial benefits of doing so. Hopefully that helps fuel my path to FIRE as well! The green swan- what type of business do you want to start? I agree that growing earnings feels better than saving. There is only so much you can save but an endless ceiling to what you can earn. One thing too that you point out a lot to in this blog is the importance of being able to earn a high salary in a low cost of living city. Combine high income, low cost of living and a happy lifestyle- talk about a home run! The biggest requirement–self control and instilling that same control in your family. Great article – question on your 30% savings rate… Is this your estimated savings rate throughout your whole working life on your gross income? Is this just retirement savings or are any other savings included? So not counting savings in a Health Savings Account, college accounts or principal paydown on your home? Thanks! Yes, 30% is based on whole working life and gross income. It includes all savings — 401k, SEP IRAs, brokerage accounts, cash, etc. I did not include HSA savings as my employer contributed that for me. College accounts and mortgage payments were not included either. I haven’t had mortgage payments for 20 years or so, so it’s been a non-factor for many years (which is one reason I could save so much in latter years). Okay, thank you! I’d love to see a yearly breakout sometime to see how it changed over the years. I’m guessing you were at a higher savings rate at the end in your largest earning years and as you had the mortgage paid off. I’m almost 30 and I’ve been tracking my husband and I’s finances since we were married 6 years ago… we started at a 28% savings rate and have gotten up to 38% but I expect that to come back down now that we’ve had our first child this year (which gives me heartburn as I’ve come very accustomed and comfortable have the growing gap). I also expect some volatility as we have a high % of performance based compensation which will vary year-to-year while our expenses are largely more fixed. Hoping it all evens out. Glad we started early and have that piece going for us to give us a little more breathing room on the ups and downs life and career will bring. That’s a great suggestion for a post! I’ll add it to my list! You are doing great! Even if you slip a little, you’re well ahead of the pack. And congratulations on your first child! Pretty straightforward path to financial independence there. All about that gap really. The bigger that gap is, the faster you can get to FI. Really, it’s just ESI, like you say. Earn, Save, Invest. A lot of people just Earn, but don’t really do the other two. I think your formula is spot on. My variant is high income, moderate expenses, investment in dividend stocks, and testing this out by living on dividends, while deferring most of my compensation that gets paid out over 15 years once i quit my job. I’m also looking for real estate to see if I enjoy it. I like the way you summarized everything here. I’m definitely shooting for closer to the low end myself – but if I had a family instead of just myself to worry about, it would be easy to see how it could add up to a much larger figure such as the $97k per year you mentioned. Especially when, generally speaking, the more $$$ you spend on things and experiences, the more taxes you are going to pay on the income you earn to support that spend. It blows me away when I see entire families living on less than I do. Mad props to them, but I don’t think I could do it unless I got hitched with someone who is even more frugal than I am. This is key. Growing expenses commensurate with increasing income makes it tough to make big gains. A 30% savings rate shows you left a nice gap between your earnings and your spending. Nicely put together straight forward article , I really hope more people realize the effort is small but the rewards are high. Thanks for putting this out there and I will happily be sharing. Just a quick question – where do taxes fall into this equation? I would say my yearly expenses is approx. 50k which is pretty modest with 3 young children and a non-working wife and honestly – wouldn’t really want to do it on less than that. My income is about double that (which is decent for people my age) so my savings rate would be about 50% however taxes takes a big chunk out of that. Does that mean my savings rate is really 25%? Haha – every time I post a comment you link me to a post I haven’t yet read because I am going through everything chronologically. I do this often — link to things I’ve already said as it makes for a better answer for people than what I could leave in the comments.